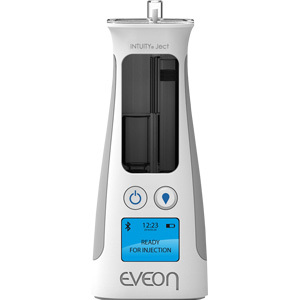 EVEON is the partner of pharmaceutical, biotech companies and medical device manufacturers for the development of automatic, safe and connected devices. Our innovative solutions meet specific requirements of a wide range of applications including biologics, lyophilized and viscous drugs, as well as radiopharmaceutical products and cell therapies. 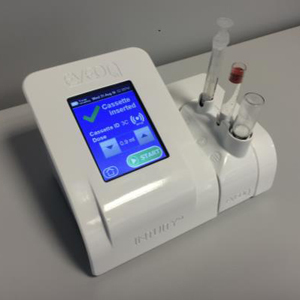 Based on Intuity®, our patented technology platform, EVEON facilitates the handling, preparation (lyo, dilution, liquid-liquid,…) and administration (injection, infusion, spraying, nebulization,…) of customers’ drugs. 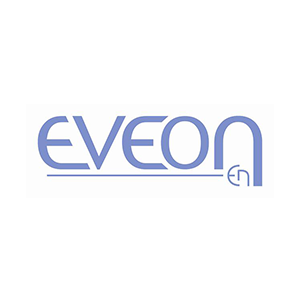 EVEON gets involved throughout the development cycle, from design, systems engineering, software development, qualification, manufacture, assembly, to marketing and as well as supporting regulatory approvals. Multidisciplinary skills and a responsive, interactive approach allow us to efficiently support our partners in accordance with our accreditations under ISO 13485 and IEC 62304 (standard for medical device software). EVEON employs a patient- and practitioner-centric approach, providing simple and intuitive solutions that facilitate therapeutic performance, patient compliance and home care.